Purcy Purr-man here! 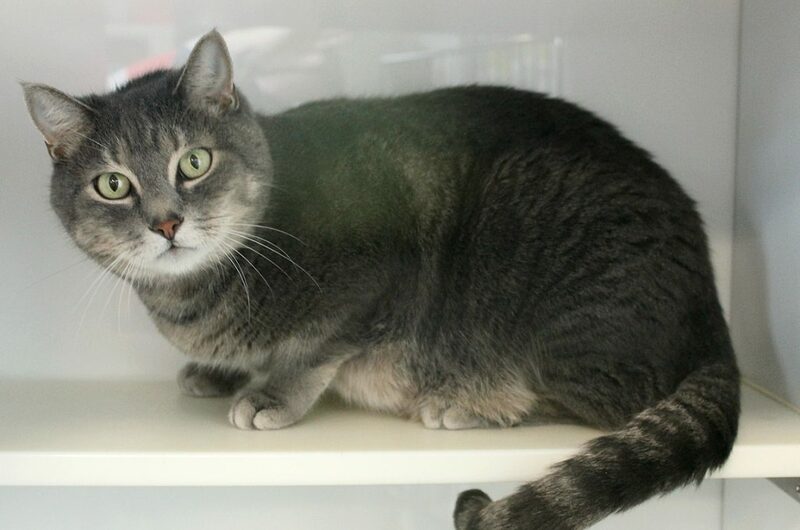 I’m a striking all-grey 8-year-old man kitty that is lovable as can be! I’m a really friendly and confident guy and am always curious about new people. I’m a sizable kitty which makes me a great snuggle-buddy and I’m a bit lazy which means I don’t need a ton of attention all the time — I’ve got my independent side, which is mostly spent napping the day away while my foster dad is at work. When he comes home, I’m always where he is, wanting to be nearby. At 8 years old, I still very much have a playful side and will gladly be entertained by a good string toy for a bit before naptime creeps up again! I’m used to being an indoor kitty so a good window-sill is plenty enough outdoor experience for me, so I’d make a great apartment cat. People seem to be my favorite, but I’m totally chill around dogs as well and would probably enjoy having a dog buddy to spend my days with as well. 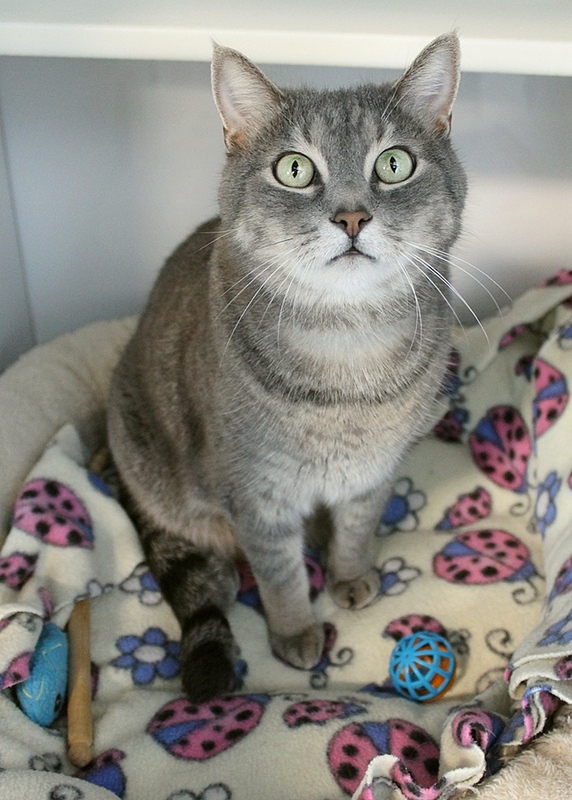 I’m really just your classic couch potato kitty with a lot of love to give, and will make an awesome best friend for almost anyone! I’m healthy and hearty and ready to go home — why don’t we meet soon? I’m currently living in a foster home, so fill out an application to meet me today! I come you fixed, vaccinated, and micro-chipped for an adoption fee of $100.